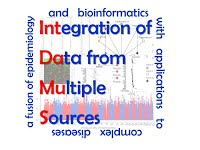 Applications are invited for several postdoctoral research positions in biostatistics and bioinformatics to work in the development and application of statistical methods for large cohort studies, family data and high-throughput omics data analyses. Applicants should have a PhD degree in statistics, biostatistics or related discipline, and have strong interest in medical and biological problems. Previous experience in computational methods is an advantage. Successful candidates will have ample opportunities to work on both methodological as well as applied collaborative projects with medical researchers.